This entry was posted in Egoscue Injury Prevention Stretching and tagged hips Injury Prevention stretch on November 9, 2014 by Suzanna McGee. Align hips with this straight-leg hip twist, which is an important stretch for tennis players and all athletes, as it rotates and relaxes the muscles of the spine while the muscles of the hip are contracted. 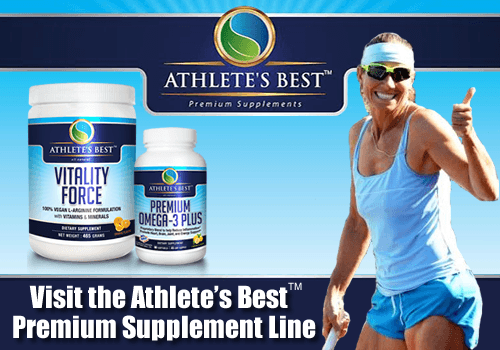 The hips are the power center of your body, as they connect the lower body and the upper body to work in unity, while providing stability, strength, and flexibility to both upper and lower body. If your hips are not properly aligned, your movement pattern is not correct and your joints will be exposed to extra forces and frictions. Misaligned hips can cause you a lot of troubles, such as pain in your lower back, knees, shoulders or ankles, and will possibly even create some more serious future injuries. It is extremely important to take good care of your hips to keep them strong, flexible, and properly aligned. Align your hips regularly! Strengthen the hips and glutes regularly with all versions of squats, lunges, glute bridges, and glute kicks and other great hip strengthening exercises. Additionally, stretch your hips with the seated groin stretch, supine groin stretch, glute stretch and cats-and-dogs exercise. Piriformis myofascial release will reach the deeper muscles in the hips. Lie down on your back with straight legs and feet flexed. Spread your arms 90 degrees away from your body with palms down. Place the right heel on top of the left foot and keep both feet flexed at all times. Contract the quadriceps of both legs and start lifting the right hip off the floor. Continue to twist until the right hip points toward the sky. Keep your upper body relaxed and turn your head the opposite direction. If you cannot twist your hips completely at this time, that’s okay—one day you will be able to. Keep your quadriceps and glutes contracted and hold the stretch for 30 to 60 seconds, while breathing deeply. Reverse the feet and stretch the other side. You may feel tightness in different locations, such as your hamstrings, adductors, knees or lower back. Continue doing this stretch after your training, running or tennis practice until it feels quite comfortable. It is an important stretch for tennis players, as it rotates and relaxes the muscles of your spine while the muscles of the hip are contracted, which is a movement that you want to repeat over and over on the tennis court. More coil-and-uncoil will give you shots that are more powerful and your game will improve. Align hips on a regular basis and feel and perform better. 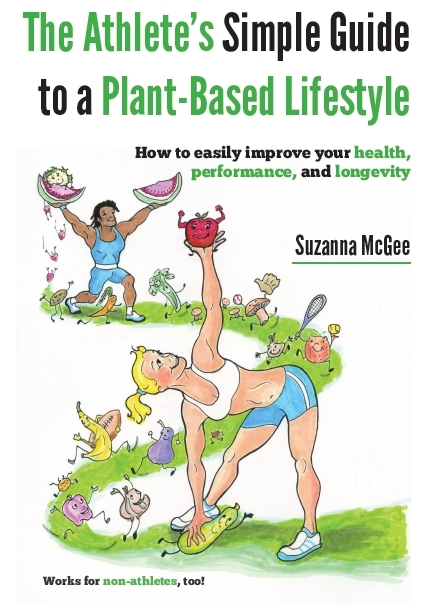 Would you like to have your simple manual to healthy, flexible body always with you? 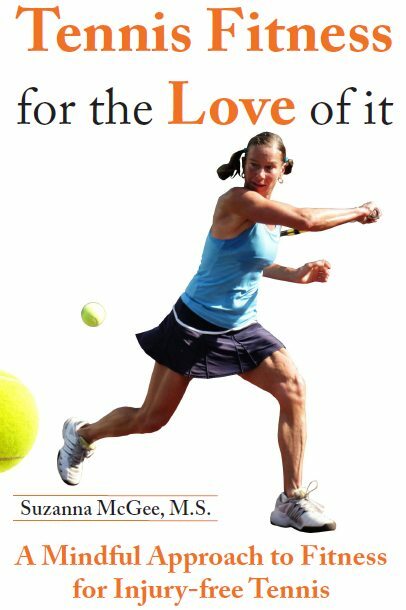 Get your “Tennis Fitness for the Love of it” book on Amazon and feel good ALWAYS.